44 = BREIZH a coupé la barbe du Père Noël ! 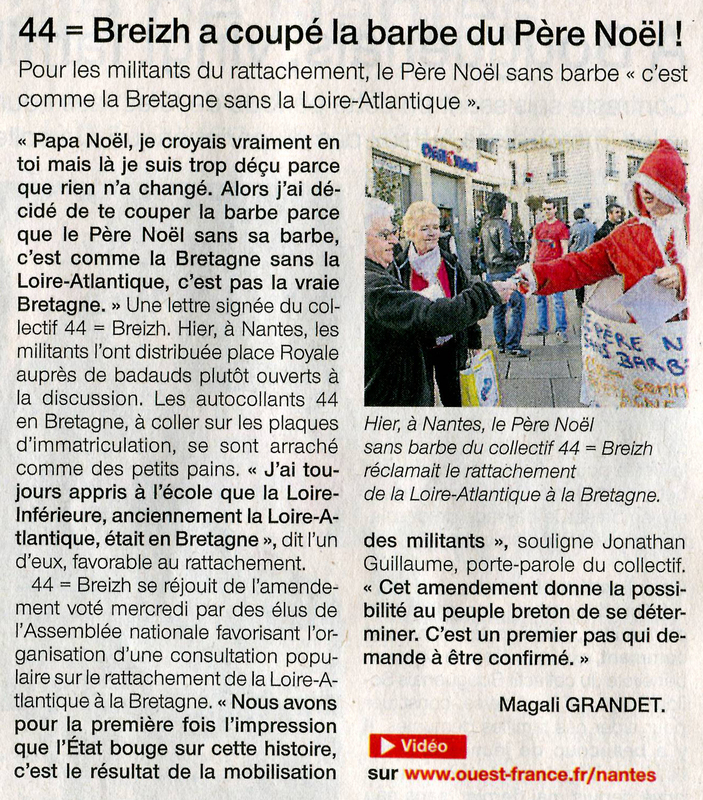 (Ouest-France) | 44=BREIZH - POUR LA RÉUNIFICATION DE LA BRETAGNE ! This entry was posted on vendredi 23 décembre 2011 at 09:00 and is filed under 44breizh, 44bzh, Fent/Humour, Réunification, Taolioù-Kaer/Actions. You can follow any responses to this entry through the RSS 2.0 feed. You can leave a response, or trackback from your own site.